You are currently browsing the tag archive for the ‘Publishing Webservice’ tag. 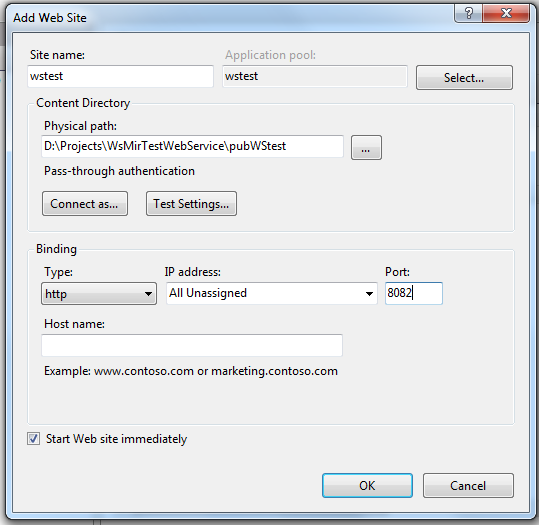 Publishing a Dot Net Web Service or Website. First of all click on Build and than on Publish. On the next screen provide setting for the publishing. Like enter a publish profile name. Keep publish method to File System. 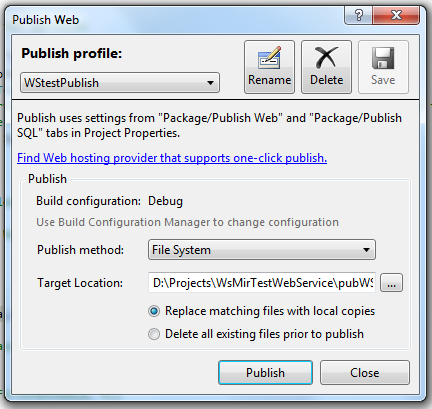 Specify a Target Location where the published files will be saved. Now open Internet Information Services Manager. We can do this by typing inetmgr in RUN dialog or Administrative Tools from Control Pannel. When the IIS Manager is open. Right Click the server name and click add Website. 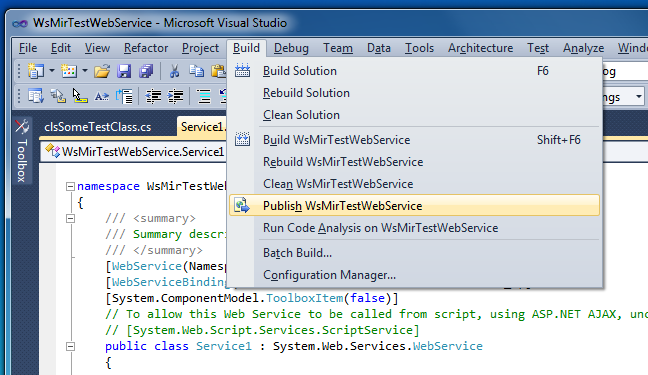 IIS Configuration for hosting our web service. Add a new site to the application pool. This will open the add website dialog. Enter a site name, application pool name, provide the Physical path of the published files of our web service and provide a port number like 8082 etc. Now check the application pool. 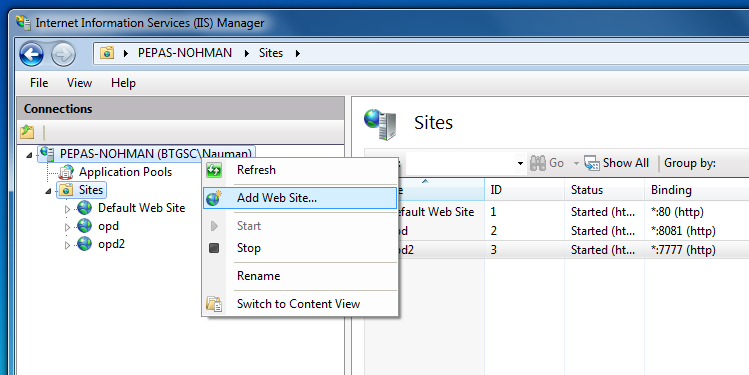 Right click on the website in IIS Manager and click Browse Website. you will see your web service up and running.